Alex Capus’s novels have been runaway best-sellers in Germany, and his novel Leon and Louise, received widespread critical acclaim on its English publication in 2012. 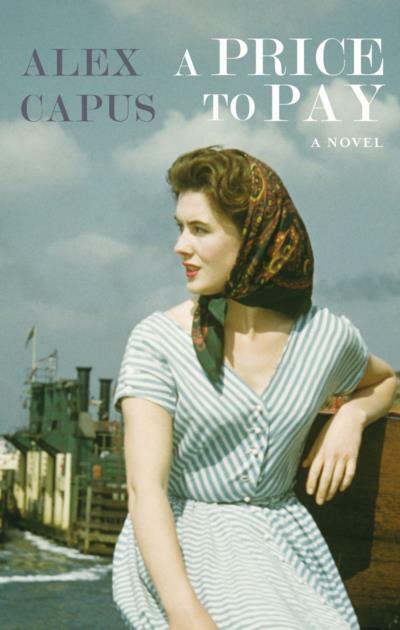 A Price to Pay, the fourth of Capus’s novels to be published in English, tells the interwoven stories of three disparate figures from interwar Switzerland: pacifist Felix Bloch, who ends up working on the Manhattan Project; Laura d’Oriano, who wants to become a singer but instead becomes an Allied spy in fascist Italy; and Emile Gillieron, who accompanies Heinrich Schliemann to Troy and becomes one of art’s greatest forgers. Taking off from the only moment in history when all three were in the same place – a November day in 1924 at Zurich Station – Capus traces their diverging paths as they secure their places in the annals of history – but at what price? Alex Capus is a French-Swiss novelist who writes in German. His works of fiction and non-fiction that have been translated into English include, Leon & Louise, Sailing by Starlight (2008), A Matter of Time (2009), Almost Like Spring and Skidoo (2014).